It’s European Immunisation Week - a great time to celebrate the achievements of everyone who delivers vaccination programmes and highlight the benefit of vaccines throughout life. This week we’re particularly urging professionals who work with young people/young adults to make every contact count and promote the MMR and MenACWY vaccines. Healthcare professionals across England do a brilliant job making our vaccination programmes work and we’ve seen some great successes. For example, we were the first country to offer the Men C vaccine in 1999, which has seen a 99% reduction in cases of meningococcal capsular group C disease among those aged under-20. We’ve also seen great success with the rotavirus vaccine – an estimated 70% of cases have been prevented since the vaccine’s introduction in 2013. Thanks to your efforts on this programme we’ve avoided tens of thousands of cases of this nasty, highly contagious stomach bug which can lead to hospitalisation of babies and worry for families. This is work to be proud of, and to build on this success we need to keep communicating the benefit of vaccination beyond childhood. 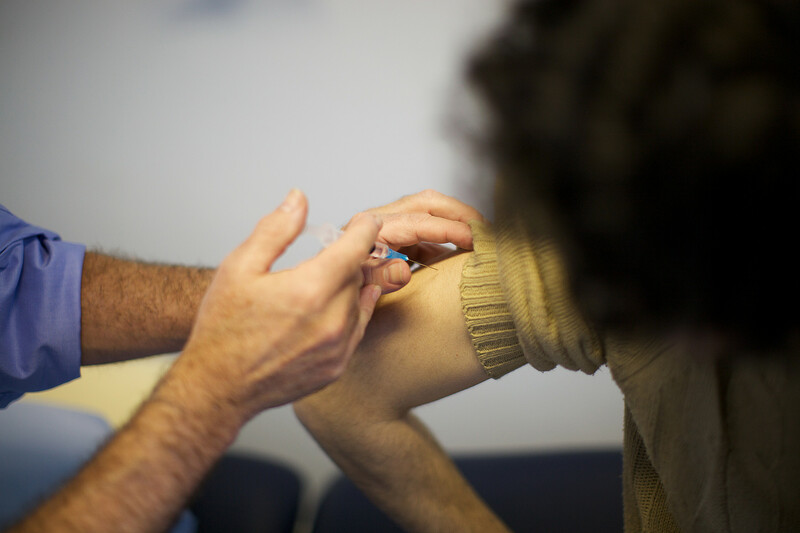 Firstly with MMR, the vaccination that protects us from measles, mumps and rubella introduced to the NHS Childhood Immunisation Schedule in 1988. Professionals in primary care and beyond are helping to ensure as many babies as possible receive the vaccine and this work must continue, but we’re concerned that we’re currently seeing cases of measles affecting young adults. These cases may be because of an ‘immunisation gap’, where children missed out on MMR because of controversy surrounding the discredited 1998 study linking the vaccine to autism and other disorders. So there are people who are still at risk of catching measles, and taking every available opportunity to find them will ensure these young adults (who access NHS health services less frequently than other groups) have optimum protection against three potentially serious diseases. We want you to think outside the box - if an adolescent/young adult patient presents to you, consider if they’re eligible for MMR. There’s no harm in asking someone if they know their vaccination history, and even if there’s uncertainty after checking, let them know that having an extra dose is not harmful. Screening for rubella susceptibility in pregnancy recently ceased because it does not offer any protection to the unborn baby and the programme was no longer considered effective. Midwives, health visitors and other professionals can take every opportunity to advise women that the best way to avoid rubella in pregnancy is to be fully immunised with the MMR vaccine – ideally before they get pregnant. Any woman of child-bearing age should be advised to check if she has had two doses of MMR before becoming pregnant. And pregnant women should be advised to check their MMR immunisation status at their GP 6 week post-natal maternal check, when missed doses can be given. Alongside MMR we’re also keen to keep promoting the MenACWY vaccine, introduced recently in response to a rapid and accelerating increase in cases of a highly aggressive strain of meningococcal group W disease. Teenagers and young adults mixing closely with new people are at increased risk so the vaccine is offered to teenagers born between 1st September 1996 and 31st August 1998, and new university entrants up to age 25 years, through GP surgeries. The vaccine has also replaced the routine adolescent MenC booster given in years 9 or 10 through schools. If you work with young people/young adults you have an integral role to play in ensuring vaccination is promoted throughout the life-course. MMR and MenACWY can save lives but many teens and young adults may not realise they could and should access this vital protection.